So I don't know about you but without a healthy slathering of concealer under my eyes I look like one of the extras from Night of the Living Dead. The problem I always have is that even if I manage to find a consistency I really like and a colour that works for me, I can never stop my concealer from piling into the creases under my eye. When I found out that Benefit was releasing a primer made specifically for the eye area so that both eyeshadow and under eye concealer wouldn't crease, I was so excited thinking all my concealing prayers had been answered! This excitement started to wear thin when I saw how horrible reviews were for this product. I decided to ignore the reviews and went ahead and bought it anyway. As you can guess from the title, it was an epic fail of monumental proportions. 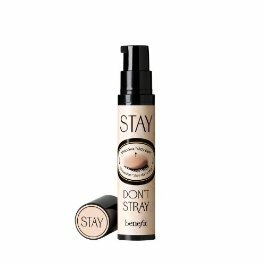 I tried it with many different concealers and they all creased within a minute. I even tried it with a Benefit product thinking that the product had to work with something from the same brand but no such luck. Thinking that perhaps I was applying it wrong, I went down to my closest Benefit counter and asked them to apply it on me and still it was an epic fail. The MA was surprised that it was creasing and didn't believe me until she saw it for herself. Now I never return makeup but this was such a bad product that I had to. This product not only didn't keep my concealer in place but it also made my concealer harder to work and if anything it made it crease more. I didn't see the point of keeping a product that didn't deliver on it's main promise so back it went. I was talking to the MA at Mecca and she suggested I try Too Faced Shadow Insurance as an under eye primer because she said that works for her. I picked up a sample so fingers crossed! - always get samples prior to purchasing.